This wonderful app is perfect for the little musician in you and a possible annoyance to others around you. 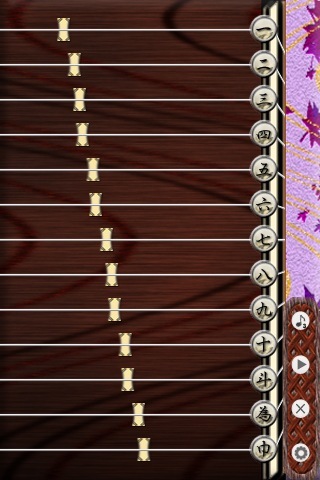 With this app you have control of a virtual Koto (Japanese harp). 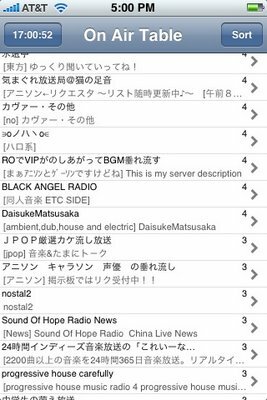 Just recently an update was done to the app where you don't just record your attempts at otaku musical bliss, but you can now listen to 3 examples like Sakura, Rokudan and For Elise. The new version even has the ability to create pinch tone effects and you can change the tone to the koto as well. Anime Fans cannot live without watching anime episodes and thankfully you'll find that with vSnax. On top of have a bunch of cool channels like G4TV, Discovery and more, there is channel dedicated to anime of course called Anime!. On Anime! 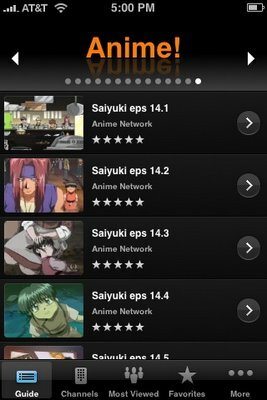 you can watch episodes of Saiyuki, Azumanga Daioh and more. Granted the pickings are slim but at least otaku have something to watch on the iPhone outside of youtube. 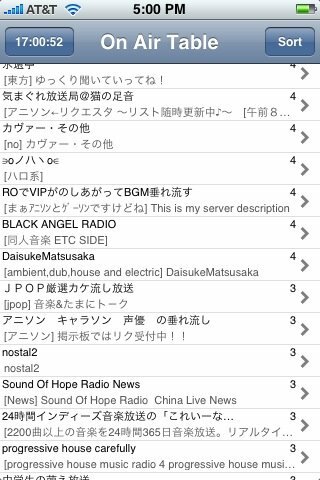 With this app you can listen to a large list of Japanese radio stations. Black Angel Radio in particular is pretty good with game music and j-pop played. It does crash sometimes and you wont understand many of the talk shows if you don't speak Japanese, but to me that's not an issue...well I don't speak it fully yet but otaku don't mind listening to Japanese. This app is great in finding commercial free, streaming music based on what you look for. 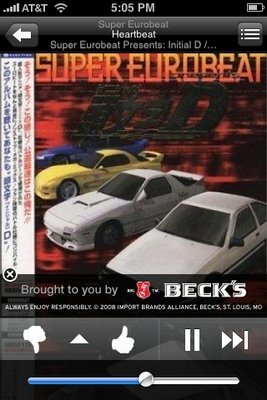 It's still a bit rough to find what anime fans want but searching "Euro beats" will nab a bunch of Initial D music and you could get a decent amount of J-Pop by searching "Gackt" or any other J-Pop artist. As great as this app is, it will repeat almost as bad as some of the local radio stations here on Long Island but if you set it up right, you can have a bunch of cool streaming songs. A must for your iPhone if you an otaku or not. 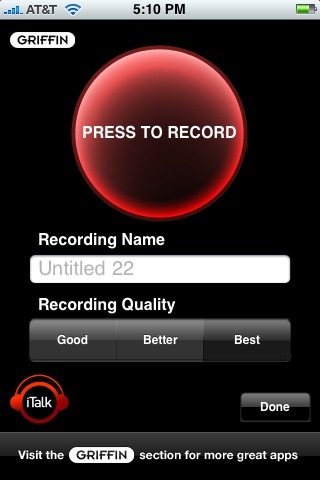 There are a few voice recorder apps out there. I started to like this one since you can download a program from their site in order to download your recordings on to your computer. I've been using this to prep for my anime voice acting auditions and to see what I can do plus where I need to improve. A very useful app indeed whether you use it like me to record your different voice impressions or just to keep a voice memo. No otaku can also be without cute moe images of anime girls. 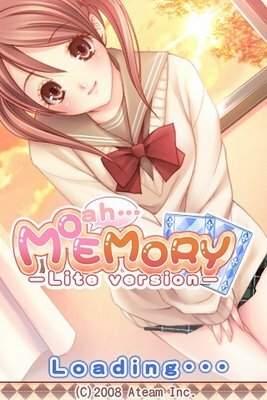 This program is a simple memory match game with you getting a picture of a cute anime girl. Thankfully the images are indeed real quality anime and not some fake fanart ripoff. In the paid version I believe you can save the photos and I would assume there is more then the 5 or so in the lite version. One of the top paid apps as f this blog post, MotoChaser is a perfect example of why the iPhone is a contender in the mobile video game industry. 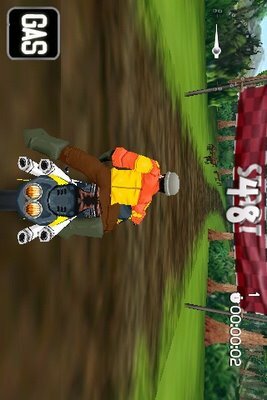 The characters have an anime-ish style to them but the more important aspect of this game is that it is a solid motorcycle racer in which you can even beat up enemy racers, almost like Road Rash, but not quite. (Speaking of Road Rash, that needs a current gen makeover) MotoChaser is a bit tough to get use to but it is a cool game indeed. 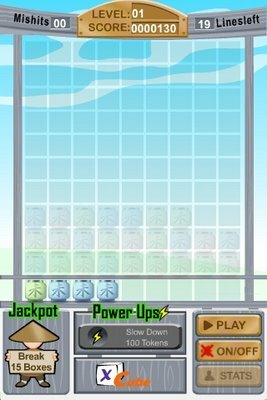 This app is one of your typical 3-pair Tetris-type games. This one can appeal to Otakus since it has an Asian tone to it with good proverbs between levels. Its a very casual, easy going game and its for you if you must have an asian tone to your iPhone apps. 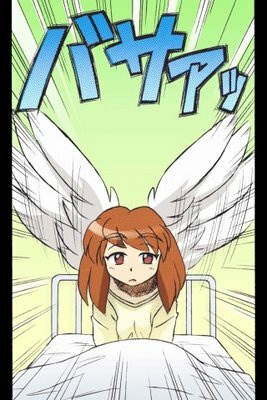 With a little bit of searching you can find some manga apps. Most are in Japanese and a few are in english. As of this date, I have yet to find any of the big time mangas on there but one the one pictured above that I have is a nice read and allows me to show off that I'm an anime fan. We otaku are mainly gamers and most of you like to get an idea on how good a game might be before you drop some dough and playtime for it. 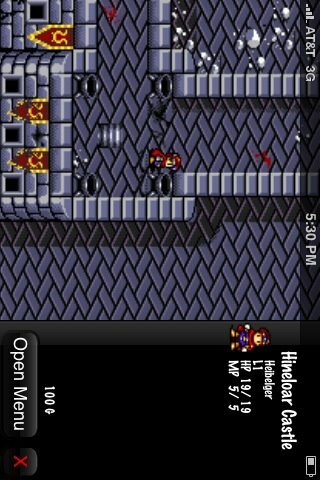 IGN Reviews is a great app to quickly see a review on the latest games. Personally, I don't really go with reviews so much. As long as its not a Barbie game or the like, I'll be sure to have fun playing the game. I even had fun playing the game Night Trap years ago and to this day its considered one of the worst games (not just because it got that evil old fart Joe Lieberman to create the ESRB). Anyways, this is good if you are iffy on what game to get. This is a novelty if anything else but I know people cosplaying as Mario or Luigi will make great use of this. 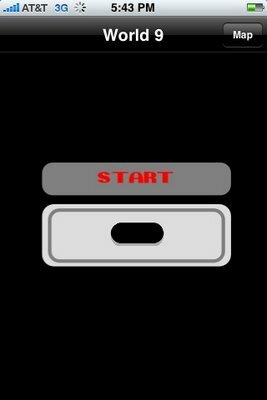 World 9 is an app you use to create the Mario jumping sound. So, basically, you turn it on, put your phone in your pocket and if you jump, you'll sound like Mario jumping. There is also a map on there to see people jumping across the country. A novelty to some but to many otaku and gamers, a must. Tap Tap is to the iPhone what DDR is to games. In this game, you tap 3 separate points at the bottom of the screen to match the song playing. 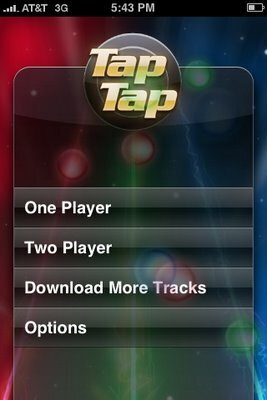 I haven't used it too much but you can download many new, popular songs and have fun tapping away. As a long time DDR fan, I do love this app. On the go yet want to see the latest posts on your favorite anime sites like Dannychoo.com or here? (most likely Dannychoo.com though) This simple app is what I use to check the RSS feds of my favorite anime sites without using the sometimes slow Safari app. Need to relax? This wonderful app allows you to look over a Koi pond and interact with the fish and environment. 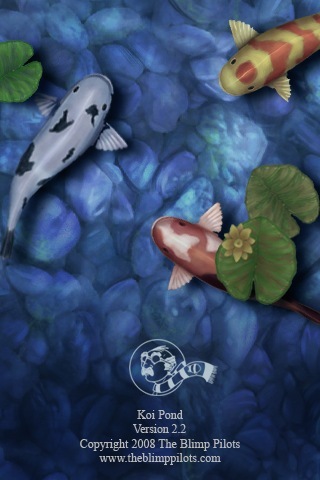 I hope to have a Koi pond at my home one day but with this app I can right now. Its a novelty but it does relax you when you have a stressed day. Last but definitely not least is the app all otaku have to love. 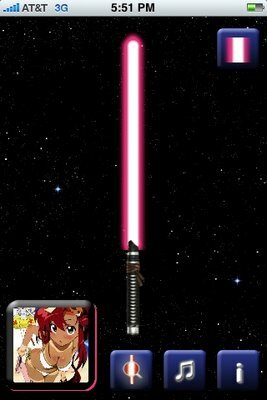 Light saber turns your iPhone into a virtual light saber with sounds that react to your swinging of the phone. Don't be too rough or you might throw the phone though ^^; I haven't done it but I can see it happening. Just recently an update was added that allows you to create a character, their light saber and story in it. I chose Gurren Lagennn's Yoko since I just had to have a hot anime girl in there. Hope this list was useful. 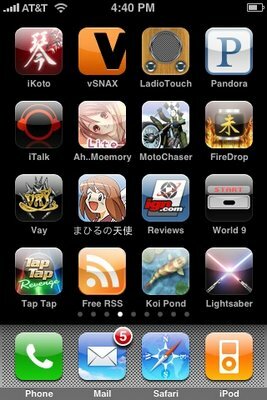 Of course there can be and will be more apps that will be great for us otaku or just good in general. Thats awesome! I am getting an Iphone soon, and I was checking if there is some awesome anime stuff for it, I found a Bleach Anime theme onoine but I dont have the phone yet and I dont know how to transfer it to the Iphone, but anyways I got a question, On LadioTouch I cant find that in the Itunes Store, where did you find it at? What's that one app in the first picture? Mahiru no kanji I can't read?